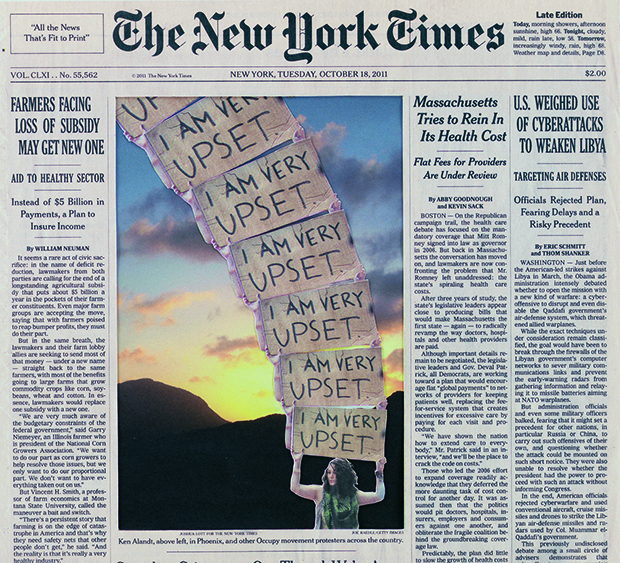 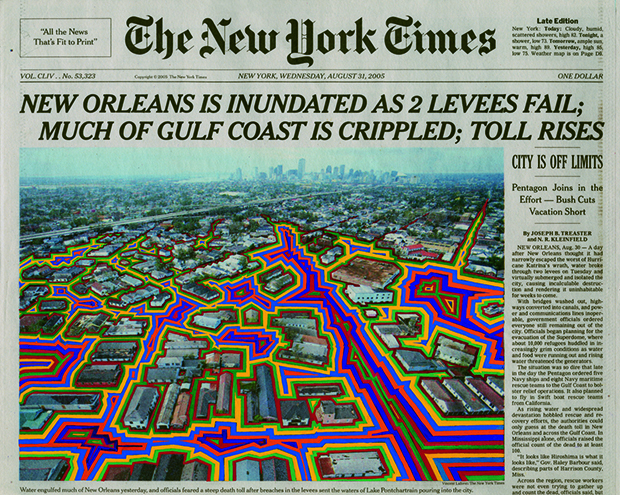 New York City-based artist Fred Tomaselli has been adding colorful art to cover pages of The New York Times since 2005. 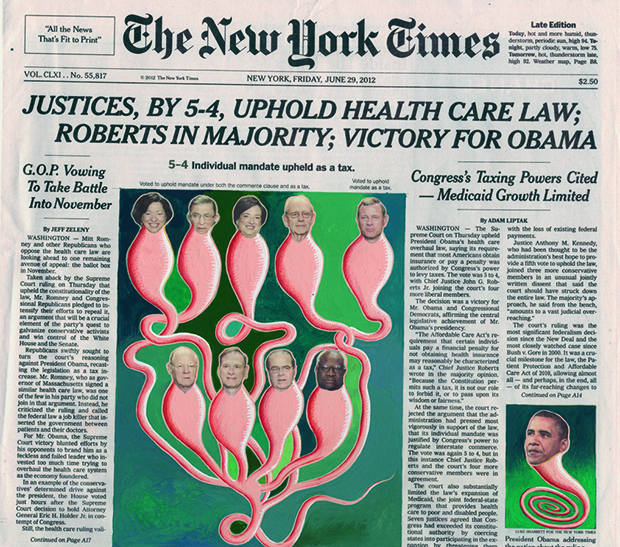 His additions — mainly centered around the newspaper’s photos, but sometimes incorporating the entire front page — vary between abstraction and commentary. 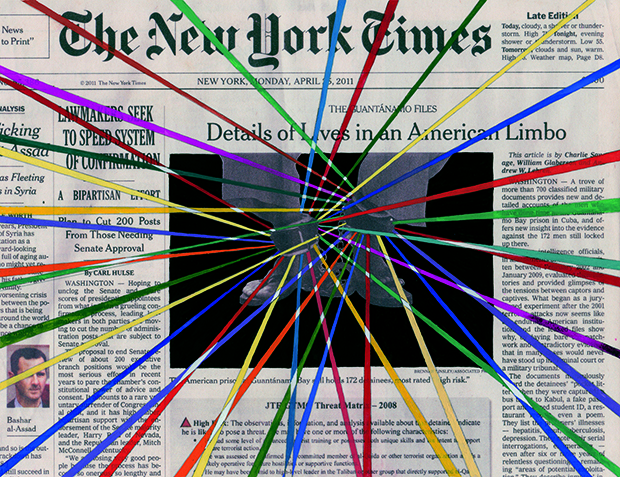 The series has been turned into an art book, Fred Tomaselli: The Times, which is available on Amazon.